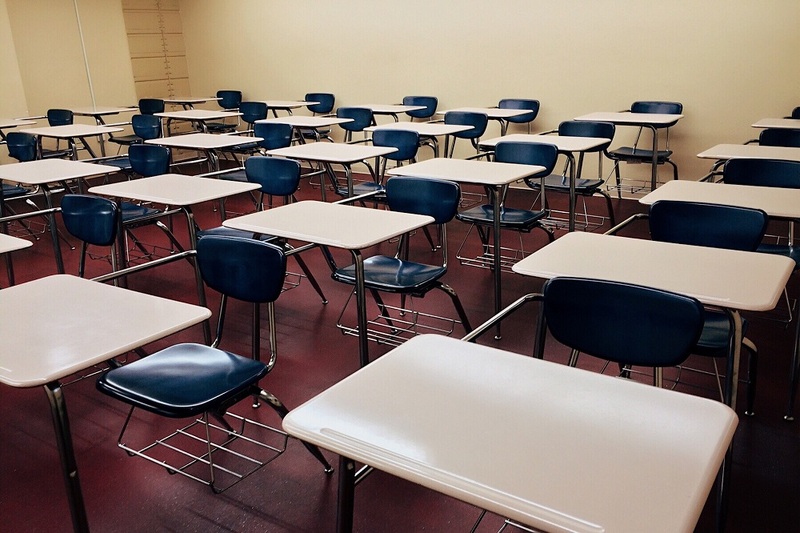 It’s Not You, It’s the Room: Why Your Classroom Setting May Be Hurting Your Students’ Scores How Classroom Environments Are Hurting Your Students’ Grades | World Air Co.
As teachers, we want our students to achieve the best they can. However, there’s just so many factors that we can’t control that can pull their grades down. Whether it’s negative influences from their friends, family problems at home, or personal problems they may face, the best we can do is teach our best and lend an ear to listen when they approach us. But one of the biggest factors that’s affecting our students’ ability to learn is actually staring us right at the face each time we teach. Yup, it’s the entire classroom itself. Specifically, the classroom’s environment and architecture. It’s hard to deny that the room we work, play, or do anything else in can affect our performance. Writer Virginia Woolf talked about the importance of having a room of one’s own. Philosopher Gaston Bachelard, in The Poetics of Space, emphasized the importance of space, architecture, and design on the human psyche. Athletes and body builders feel more motivated to work out in a gym. Freelancers pay up to hundreds of dollars a month to work in a co-working space rather than work for free at home. Librarians have developed a stereotype in movies of constantly shushing anyone who makes a sound. Rooms can be built to be conducive for certain activities, and the same applies to classroom settings. When you imagine a private school or university, you and many others share the same image. It should have lots of green landscaping neatly maintained by groundskeepers. The hallways are cleaned daily, the floors mopped and polished and the walls clean without any vandalism. The school even had funding to get great architecture that sets it apart from other campuses across the country. Now imagine a public school, and you might imagine the opposite. Not exactly a safety hazard as some movies exaggerate, but none of the spotless hallways some private schools sport. You might imagine a few old-looking buildings that could use a renovation. The equipment is outdated, with a few broken down projectors the school still can’t save money to replace. The hallways are crowded, and the classrooms are cramped. When you look at these two contrasting campuses, you wouldn’t be surprised that private schools are actually performing much better academically than public schools. And that’s due to the fact that nearly everything in private schools – including the architecture and design of the buildings and classrooms – were designed to be conducive learning places that stimulate imagination and foster creative thinking. Poorer neighborhoods, however, are left with less conducive places, and it mentally affects their ability to learn. Have you ever had to study a new and complex idea within five minutes? Apart from the time pressure, while you’re trying to concentrate and learn, the back of your mind will always go back to thinking about the countdown, stressing you out even more. As a result, you don’t really learn much within that amount of time because you’re stressed. The same applies to students put into stressful environments. When there’s too many people in a room or the room isn’t built for conducive learning, students aren’t optimized to learn. Instead, they have increased stress and decreased mental capacity. In fact, studies show that the environment can optimize or harm a student’s academic achievement. Let’s take, for example, Detroit, Michigan. The city has had one of the worst records for public schools’ academics. The city planned to close down many public schools because out of all its students, only 68 percent, on average, go on to graduate high school. Public school students have consistently performed poorly on standardized tests, scoring record lows, only beaten by public charter schools also in Detroit. It currently holds the lowest reading and writing test scores in all major US cities. 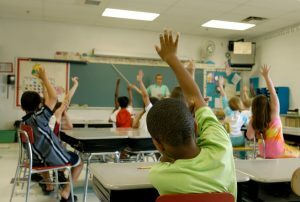 The state of public schools there is so low that, among its eighth-graders from public schools, only 27 percent had basic math proficiency, while 44 percent could read basic English. Because of this, nearlyhalf of Detroit’s adults are considered functionally illiterate. And part of the blame goes to its run-down public-school environments. 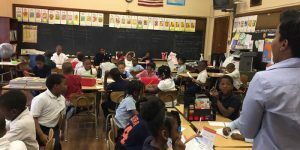 Receiving very little funding to improve school conditions, in 2016, public school teachers in Detroit protested against the extremely poor conditions of 88 out of the 100 Detroit public schools. In response, the government inspected 11 public schools and found that all schools had code violations, with an average of 14 health and safety violations ranging from mold, pests, damaged roofs, and broken glass pieces. The building, its design, and its constant upkeep and maintenance can be key to keeping students in the classroom and have them academically improving. A 2004 nationwide study found that schools that have better designed and well-maintained structures are more likely to maximize attendance and minimize the rate of students dropping out. But if local governments want to see this happen, they have to be willing to spend. The study’s findings applied to findings found four years later in Texas. They found that high school facilities in poorer areas had inadequate facilities and poor classroom conditions, which was found to have a negative impact on their students’ academic performance. Unfortunately, if you work in a public school with little funding, a small budget, and very little opportunities, there’s no way you can renovate your room and rebuild it to make it more conducive. However, if it’s big enough and there are enough walls, adding little touches such as charts related to the topics that students study can greatly improve the room’s conduciveness. Otherwise, with no other options or means to improve the room, you and your teachers may have to talk to your local government about funding to improve your students academics. 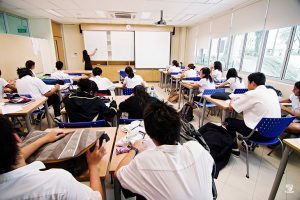 You can be one of the best and most effective teachers in the country but having a non-conducive environment can cancel that out and make it more difficult for teachers to do their job. But the most important thing you can do? Don’t quit. Don’t quit your job or quit on trying to give your students the best education you can. A poor environment not only means students can’t study; it also means good teachers are more likely to leave in search of better working conditions, leaving these students with lower-quality teachers who can’t find any other working alternatives to accept them. A study from Washington, DC noted that all teachers, regardless of tenure, are difficult to keep when they work in a poorly-maintained work environment. Like other employees in other jobs, they are more likely to quit due to poor working conditions. And since a lot of urban districts don’t have the funding to repair and maintain school facilities, good teachers are more likely to leave, worsening the education of these students. There’s only so much you can do to teach your students when you are given a poorly constructed classroom making it more difficult to teach. It not only affects your students and their ability to learn, but your career enjoyment, your ability to teach, and how likely you are to find a new job. While you can’t really do that much to change your environment, the best you can do is to teach effectively, raise your concerns to proper officials, and never give up in providing your students with good quality education.